I'm gearing up for the Thanksgiving holiday. Though I'm not a huge fan of turkey, I know I won't go hungry this weekend (my sisters and I were joking that we needed to train our stomachs for all the good food!). This Thanksgiving will be especially fun since I will get to spend it with my family and Scott's parents too. We'll also have a couple of the girls' boyfriends around--enough people to get a good flag football game going (yes, I will play even though I am more confident in my cheerleading abilities!). In discussing A Stolen Life, we were all amazed by Jaycee's strength and courage in the face of such a horrifying experience. Though she had to grow up quickly in many ways, she also remained like a child, as she was sheltered from the world for so many years. 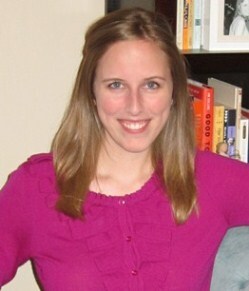 Her writing reflects that--a mix of child-like and adult language, a mix of descriptive and reflective sections. There were parts of the book that were emotionally very hard to get through, but re-living the story of her kidnapping, rescue and recovery through Jaycee's own words was fascinating. 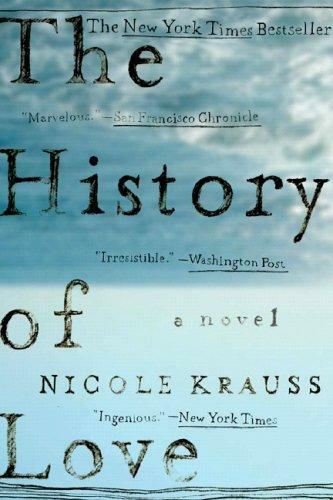 For next month, we'll be reading The History of Love: A Novel by Nicole Krauss. I first heard about this book on Bethany's blog after she wrote about checking it out from the library and later posted about this great quote from the novel. When I suggested it as a book club pick, E also highly recommended it. So I'll be toting this book (and a couple of magazines) with me for the weekend. Very excited to delve into the story--full of love, loss and loneliness... and some beautiful writing. Nicole Krauss's The History of Love is a hauntingly beautiful novel about two characters whose lives are woven together in such complex ways that even after the last page is turned, the reader is left to wonder what really happened. In the hands of a less gifted writer, unraveling this tangled web could easily give way to complete chaos. However, under Krauss's watchful eye, these twists and turns only strengthen the impact of this enchanting book. The History of Love spans of period of over 60 years and takes readers from Nazi-occupied Eastern Europe to present day Brighton Beach. At the center of each main character's psyche is the issue of loneliness, and the need to fill a void left empty by lost love. Leo Gursky is a retired locksmith who immigrates to New York after escaping SS officers in his native Poland, only to spend the last stage of his life terrified that no one will notice when he dies. ("I try to make a point of being seen. Sometimes when I'm out, I'll buy a juice even though I'm not thirsty.") Fourteen-year-old Alma Singer vacillates between wanting to memorialize her dead father and finding a way to lift her mother's veil of depression. At the same time, she's trying to save her brother Bird, who is convinced he may be the Messiah, from becoming a 10-year-old social pariah. As the connection between Leo and Alma is slowly unmasked, the desperation, along with the potential for salvation, of this unique pair is also revealed.